What is Your LEAST Fav CF Movement??? If I were going to ask you what your LEAST favorite CrossFit movement was, what would it be? Oh and as a follow up to that, what does “least favorite” mean to you… most despised, hardest, inflicts the most pain, boring, just can’t do it, etc.?? 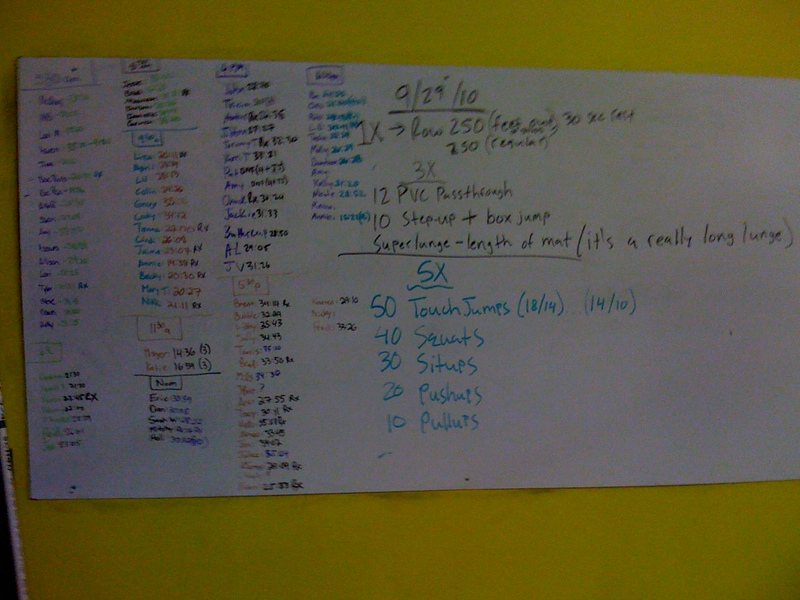 This entry was posted on September 29, 2010 at 12:47 pm and is filed under Crossfit Philosophy. You can follow any responses to this entry through the RSS 2.0 feed. You can leave a response, or trackback from your own site. Inflicts Most Pain: Heavy front squats (but it’s a good pain) or bear crawl. But…I still love it all! Most Despised: burpees & rowing! Just Can’t Do it: nothing… everything can be done at some level! Boring: Row…am I getting anywhere yet??? Most despised: After today, Touch Jumps, I hate that yellow wall!! 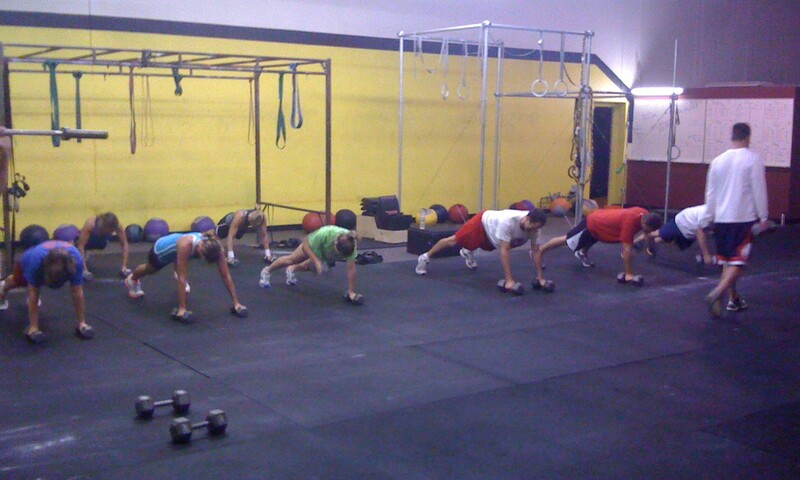 Inflicts Most Pain: Bear Crawls. These just hurt! Nobody said this was going to be easy…That’s CrossFit! Can’t do it- ??? i always give it a shot – may not be pretty but I try. Can’t do it – Muscle ups…I am hopeful that some day I will be able to. Most Despised: Wall Balls! UGH… they are the death of me every time. Just Can’t Do it: Handstands without a wall for support… nope, nada, not happening. Just can’t do it: toes-to-bar…after about 3 it gets ugly in a hurry!